Instagram has 500 million monthly users. Videos and photos are shared on the platform 95 million times a day. It’s a steady-growth network that offers brands the perfect opportunity to build their audience and customer base. It’s a unique platform to maneuver, but the visibility you can gain from it is huge. But even with all its users, you can’t just post images blindly and wait for them to go viral. You have to know what photos to post, when to upload them, and how to connect with other users on the network to gain more followers and likes. It’s as much an art as it is a science. For example, we have more than 35,000 followers on Instagram. We didn’t get that kind of a following overnight, though. But we did live to tell about the methods that work to help you amp up your numbers and visibility. Here’s our formula for crafting a viral Instagram post that will appear on the “Top Posts” page. Instagram Top Posts: What Are They, Exactly? When you navigate to the “Explore” tab of Instagram and enter in any given hashtag, the “Top Posts” section will appear at the top. It’s a section of the nine posts with that hashtag, determined through an unknown algorithm used by Instagram. These posts were picked by Instagram to be featured. 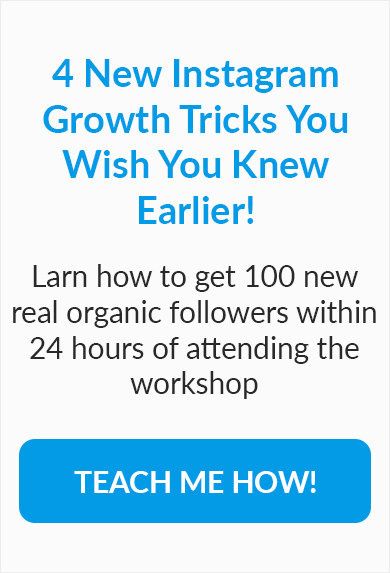 While there isn’t a tried-and-true formula for getting on this page, there are some general rules you can follow to increase your chances. And, luckily, you don’t have to have a huge account to get a viral post, either. The larger the hashtag, the more quickly the trending posts are refreshed. But for smaller hashtags, you may be able to remain trending for a day or two (or more)! But before you can start posting, the first step is making sure your account is completely filled out. This might seem obvious, but you need to be sure your profile is complete. You want to appear as legitimate as possible. That means filling out that dreaded “About Me” section, too. You should also link your Instagram account to your Facebook account. Decide whether you want to link your Instagram to a personal or business Facebook, or create a page with the sole purpose of showcasing Instagram activity. It’s up to you, but if you’ve already got connections on your business Facebook page, it’s probably wise to link your Instagram there for maximum exposure. It’s a good idea to make sure all your images follow a similar theme, too. Keep your demographic in mind when you’re crafting images or videos to post on Instagram. Anyone who visits your page will have an instant impression of your brand’s identity, so you have to present yourself exactly how you want to be perceived. And low-quality photos won’t cut it. You want to appear professional, so be sure to showcase high-resolution images, like these from Noisy Water Winery. Plus, since Instagram users are probably viewing your account from a mobile phone, any flawed or dark images will look even worse on their screens. You don’t have to be a Photoshop genius to have nice images, though. You can easily create some high-quality images using a tool like Canva. Content on your page should be specific to your voice. Be unique and showcase your perspective in your industry, and your audience will appreciate your authenticity. Try to make the posts in your feed somewhat match, so there’s a similar feel to each of your images. Here’s how we do it on our page. Your images don’t necessarily have to be original, either, as long as you add something to the conversation and give credit where credit is due. Post quotes or even news stories on popular industry topics and add your own commentary to spark a dialog with those who see the post. Try to steer clear of red, though. Photos with a ton of the color red are psychologically proven to stop a viewer from scrolling. Blue images, however, get 24% more likes than red ones. So keep that in mind when crafting a theme: more blue, less red. This will get people’s attention and increase your chances of going viral. Tags are another great way to connect with people and get exposure on Instagram. There are countless accounts in each industry trying to gather a community of people to pay attention to their content. A tag lets you open yourself up to user-submitted photos and an entire world of followers that you might not reach without it. The more tags, the better. Photos with more tags have been proven to get more likes. Location tagging is also important because your images will show up when people search for that area. Besides tags, you should also be focused on using emojis in your Instagram captions. But did you know they can actually help you go viral? Humans process images 60,000 times faster than they process text. Emojis are the way to go if you want to convey a feeling or emotion quickly. If you want your post to get more attention, simply add in a few emojis. The heart emoji tends to get the most engagement. It’s best to have a good understanding of exactly what each emoji means, first. If you’re just starting out with emoticons, HubSpot’s Emoji Guide is the perfect place to start learning. You don’t want to use an emoji that conveys the wrong message, after all. Now, let’s move onto the section you’ve probably been waiting for: ads. Instagram ads appear like any other regular post on the platform. There are a few ad options, but they’re pretty similar to each other overall. And they are a lot less complicated than ads on other platforms, like Facebook. Plus, audience targeting is a lot easier. For example, you can post photos of differing dimensions if you want your post to be larger or smaller. 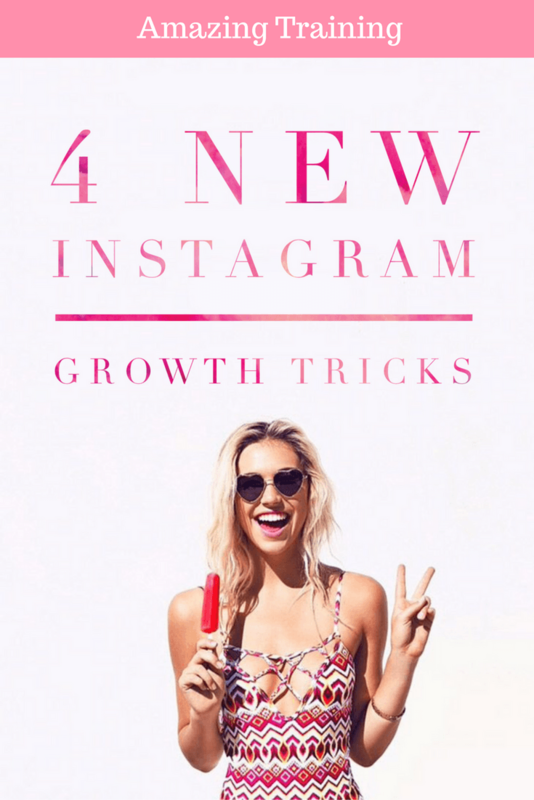 Since Instagram is designed for mobile users, you should keep screen size in mind when crafting ads. Ads on Instagram might not be the best place to drive sales. And since your overall goal is to go viral, it’s best to focus on the “top of the funnel,” here. Instead, focus on branding, views, clicks to your site, and more. The rest will follow once the users find you and join your Instagram journey. And that’s the entire reason you’re trying to go viral, right? In addition to the regular old photo ad, Instagram also has carousel ads available, pictured above. These are perfect for product demos that require several photos to tell the full story. We’ll talk more about stories next. If you’re already a pro at advertising on Facebook, just use interest-based targeting when running ads on Instagram. Or, run ads against custom audiences full of email subscribers, past customers, and more to re-engage visitors. But you can never be sure which kind of ad is the best one to meet your goals or go viral. For that, you’ll want to run a few tests before you spend a ton of money on Instgram ads. Compare and contrast how certain ads perform with engagement tracking in Socialinsight.io. With this feature, you’ll see how many people engaged with your posts on any given day. InstaStories are incredibly powerful if you use them right, so we’re going to hone in on those next. InstaStories are perfect for attracting attention to your page, which increases your overall chance of having viral posts. People will see your account at the very top of their feed and be more likely to go to your page and click like on a photo. This is a great place to show your wit and sense of humor. But InstaStories aren’t the only place for funny posts. You can put them right on your page. I don’t know about you, but this is the kind of feel-good content we like to see on Instagram. But once you get the content down, make sure you’re posting at the right times. Much like scheduling posts on other social platforms, you should schedule posts on Instagram to see the best results. Scheduling lets you post when your audience is online and most active. That means your chances of going viral with a post during those times is much higher. With engagement analytics in the Socialinsight.io platform, you can determine when those times are. Look at your posting times and then check out the engagement and interaction data. Which times gathered the best likes or comments on posts? This is when you should be uploading to Instagram. Then, once you know your optimal post times, schedule posts out in the Socialinsight.io tool to go live at those times and days. This can be a lot of work, though. Something that also helps you go viral is to get featured by an account with a bigger following. Instagram is full of accounts with followings of all different sizes. Accounts with a gigantic following can influence their followers to like another brand’s post or follow their account with just one repost. If you’ve taken a photo that is worthy of sharing, get it out there to a larger account. Some accounts will feature your post if you add their hashtag or tag them. Find a list of these accounts here. The account you try to connect with doesn’t have to have millions of followers, either. In fact, if it doesn’t, there won’t be as many accounts trying to compete for their attention. Accounts such as @thepeoplescreatives have their own hashtags that people can add to photos to get discovered. Just add #peoplescreatives to your photo and they’ll see it – and potentially “regram” your image. Building relationships with other accounts in this way is almost guaranteed to get your post attention. And finding influencers and brand advocates doesn’t have to be full of guesswork. The Socialinsight.io Follower Insights feature makes it simple to identify and contact users who already know you and your brand. Here’s how you can take the first step and actually collaborate with another account. Once you’ve done your research and identified which accounts you can exchange content with, send them a direct message. Ask them to credit your account for the image that you want to go viral. It’s also not out of the question to ask them to direct their following to check out your page and follow you. Propose that you will do the same for them with a photo of their choice. If you’re just starting out, it’s commonplace to provide your photos for free. But the exposure has unlimited value and increases your chances of a viral post by an immeasurable amount. An Instagram contest is a fail-proof way to gain followers and increase engagement. Nikon even created an entire Instagram account dedicated to their 2016-2017 Nikon Photo Contest. Be sure to spend time setting it up and monitoring the contest, though, to make sure it’s successful and participants are happy. The overall goal here should be to increase engagement and attract attention to your post (and your brand). Use a contest specific hashtag. It’s a good idea to use a branded one. Don’t forget to create an eye-catching graphic to share the contest, and be sure to follow up with those who entered after it ends to thank them for their participation. Instagram is the perfect platform for going viral and growing your brand. But you have to know how to use it in a way that other accounts will love. We didn’t gain our Instagram following in a day, but Rome wasn’t built in a day either. filled out so that people know you’re legit. Post images that are in line with your brand’s theme and use tags and emojis to increase your chances of visibility. Promote an image as an ad so that it will go viral more quickly, and only upload when your users are active. Schedule posts in advance with our scheduling tool. Find influencers to share your content and offer to share theirs, too. And don’t forget to run contests on your posts so that everyone will share your image with their friends. See you on the Top Posts soon!